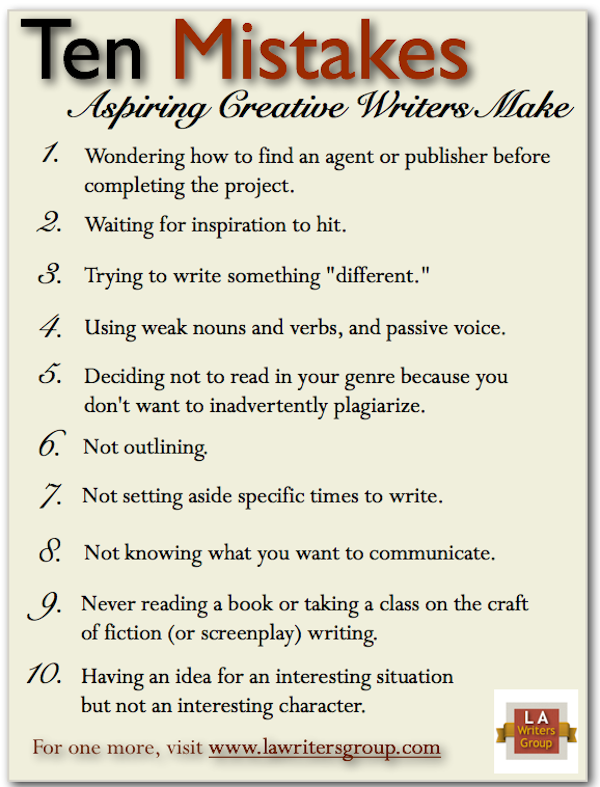 I came across this great article at http://www.lawritersgroup.com/ten-mistakes-aspiring-creative-writers-make/ about the mistakes aspiring creative writers make and just had to share it with you all. Far too often I see writers getting caught up in "all the other stuff" that they seem to forget that they actually need to write the story. Number 1 on this list is one that I come across a LOT and whilst it's a good thing to consider how you would like to publish you need to have something to publish first. Number 2 is a good point too. If you wait around for inspiration to hit you may find that you never write anything. This is one reason why I love challenges like NaNoWriMo because they force you to get the first draft written. Also remember, a first draft doesn't need to be perfect. You can revise and edit later. It's just about getting the story written. Number 8 is another point that I feel really needs to be highlighted. You need to know why you are writing the piece. What do you want to communicate to your readers? Having a clear goal will make it easier to keep your focus and make sure your message comes across. Which are your favourites from this list? 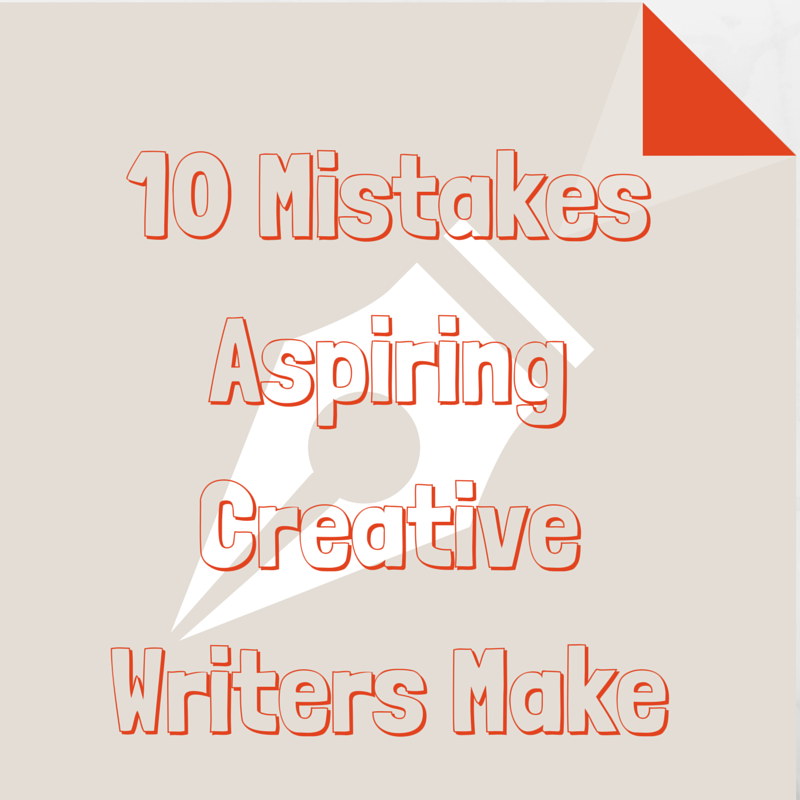 What other mistakes do you see aspiring writers making?